It’s All About Luxury!! One of a kind event showcasing the Kenya’s finest wedding artisans. Catering exclusively to the affluent wedding market; luxury wedding showcase opens doors to the most talented, fabulous, elite and upscale wedding professionals from all facets of the industry. It provides a stylish and stunning environment for potential customers i.e an opportunity for the discerning brides and grooms to experience and see the most unique collection of everything for that luxurious wedding. The Luxury Wedding Showcase creates a platform for the finest and unique wedding suppliers to showcase their work in world-class prestigious venues. We will have different themes every year, this year’s being a classic small and intimate wedding. Luxury hotels have long been go-to venues for couples planning upscale weddings. Although most weddings in Kenya are typically large scale events with hundreds of guests, we are thrilled to re-envision a classic small and intimate wedding as a memorable intimate affair with The Norfolk Hotel as the perfect backdrop. 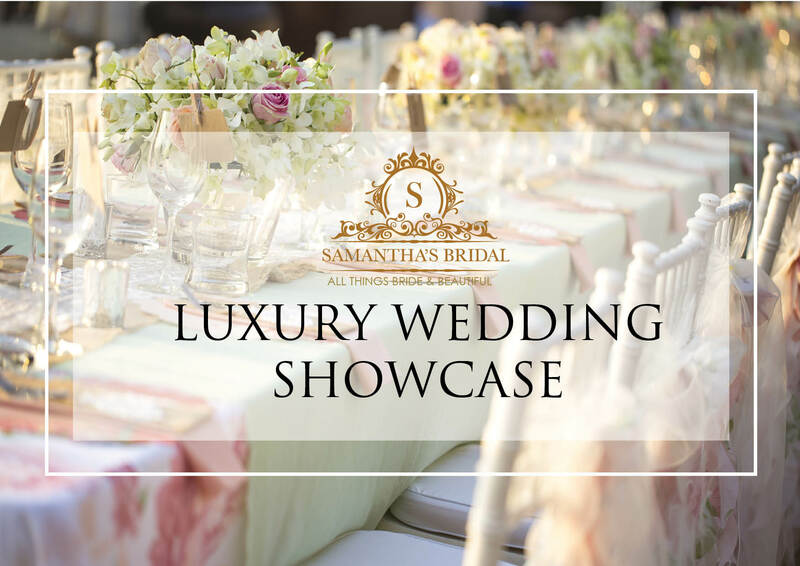 On Saturday, May 27th 2017, The Fairmont Norfolk will throw open its doors and welcome 170 enthusiastic to be weds to the luxury wedding show case Hosted by Samantha’s bridal. Together with our partners we will transform the exquisite 100 year old Norfolk Ballroom into a beautiful wedding oasis as we produce an afternoon of wedding enchantment. Discerning affluent couples be treated to demonstrations and activities for all types and levels of experience in a stylish and stunning environment . Potential customers will have an opportunity to see the most unique collection of everything for that small and intimate luxurious wedding. And as high end consumers , they can even book the venue and suppliers for their upcoming wedding . There after one couple will win a luxury wedding. The Norfolk Hotel will partner with Samantha’s Bridal to bring world Class expertise and award winning design to one lucky couple on their special ceremony and celebration while giving them a wedding. This is an experience you cannot miss.